Sophisticated and unique, this bracelet combines the best features of authentic centuries-old art of Murano Glass: unique design, gorgeous colors, and fine craftsmanship. 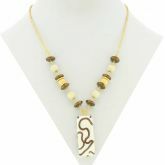 In classic colors of ivory, mocha, and gold, it represents a perfect jewelry accent for any season and clothing style. 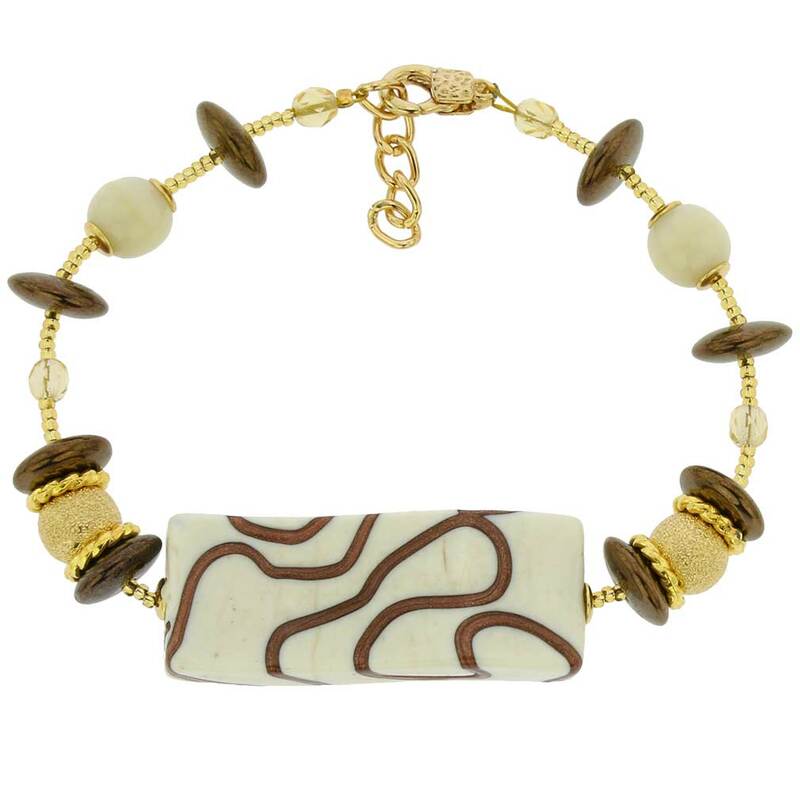 Wear this bracelet with matching Adele Murano Glass Necklace or showcase it by itself to instantly feel the glamour of Venetian past and present. This beautiful bracelet is a perfect gift to a woman who values Italian design and fine craftsmanship of Europe's most ancient artisan tradition. Measurements: This Murano bracelet is 7-1/2 inches long and can be extended by 1 more inch using the attached elegant and light extender chain. This makes it fit virtually any wrist size. The slightly convex rectangular bead in the center measures 1-1/2 x 5/8 inch. 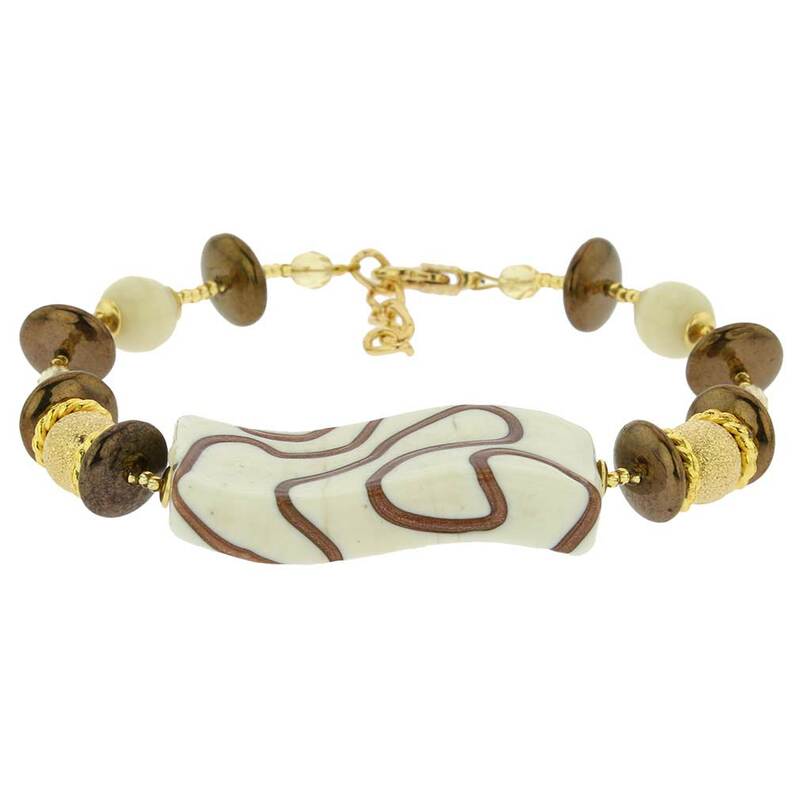 The bracelet is authentic Murano Glass handcrafted on Murano in Italy. It comes with an attractive velvet pouch and a certificate of authenticity. Because each piece of Murano Glass jewelry is a unique work of art made by hand, slight variations of colors and patterns are possible and do not constitute a defect as no two items can be made exactly the same.